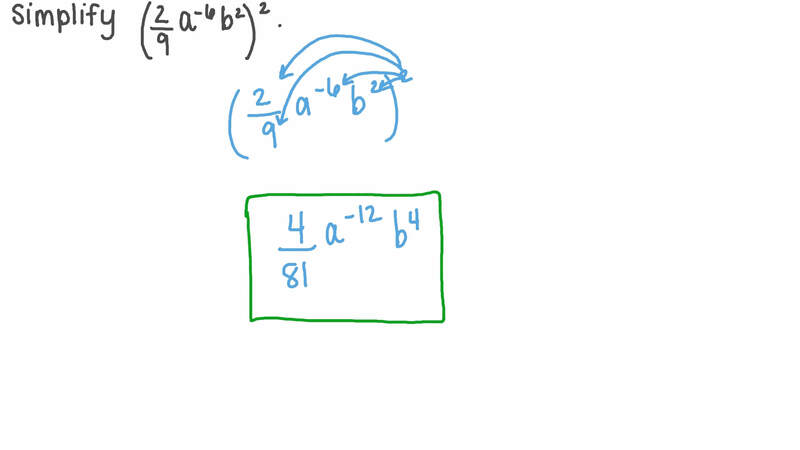 In this lesson, we will learn how to simplify algebraic expressions using laws of exponents. 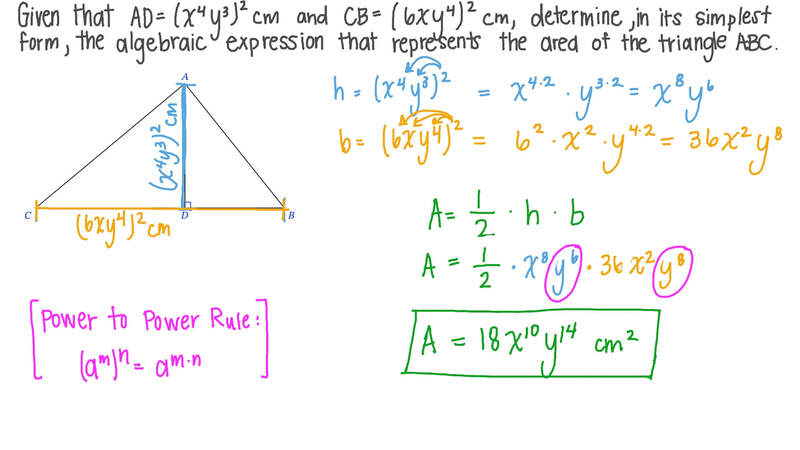 Given that 𝐴 𝐷 =  𝑥 𝑦  4 3 2 c m and 𝐶 𝐵 =  6 𝑥 𝑦  4 2 c m , determine, in its simplest form, the algebraic expression that represents the area of triangle 𝐴 𝐵 𝐶 .
Simplify 𝑥 × 𝑥 𝑥 × 𝑥 1 2 8 1 1 , where 𝑥 ≠ 0 . 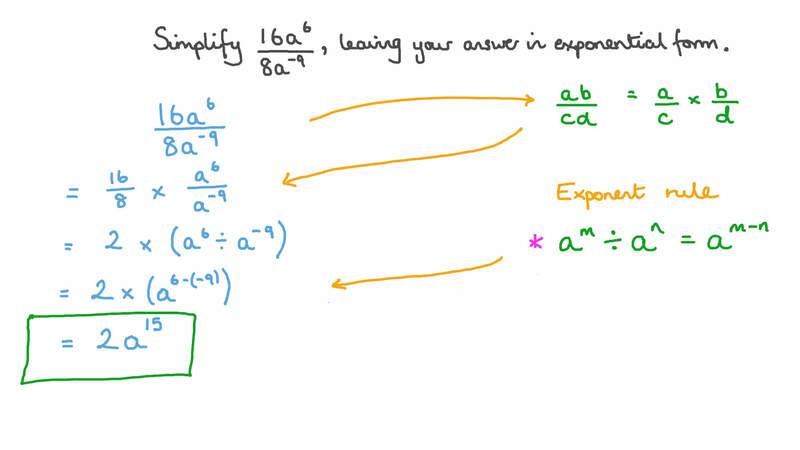 Simplify 1 6 𝑎 8 𝑎 6 − 9 , leaving your answer in exponential form. Simplify  2 9 𝑎 𝑏  − 6 2 2 . Expand 2 𝑥 𝑦 ( 5 𝑥 𝑦 − 2 𝑥 𝑦 ) 2 3 3 2 . Complete the following: − 6 4 𝑏 = ( ) − 6 3 .